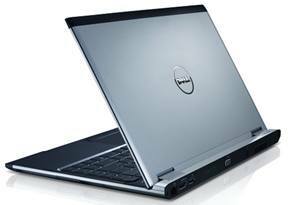 After introduced the world’s thinnest laptop Dell Adamo XPS, Dell again introduced a new low cost ultra thin laptop which known as Vostro V13. The Vostro V13 has been designed as thick as Adamo with 0.65-inch and lighter than Adamo with 3.5 pounds. The ultra-thin laptop is being designed to use Intel’s CULV platform that able to run on 10W Celeron, Core 2 Solo or Core 2 Duo processors. Vostra V13 is available in two models – Linux and Windows model. The Linux model will be run on Ubuntu 9.04 and the Windows model will run on Windows 7 Home Premium. The Linux model is featured with a 1.3GHz Celeron, 2GB of RAM, a 250GB hard drive, Intel GMA 4500 video, and 802.11b/g Wi-Fi. The Windows model is featured with a 1.3GHz Core 2 Solo, a larger 320GB hard drive, 802.11b/g Wi-Fi and a 1.3-megapixel webcam with digital mic. Both models are expected to start shipment by 12 Jan 2010 and the price is start from $449 for Linux while $599 for Windows model. Moreover, the PC is also available for upgrading to 1.3GHz Core 2 Duo SU7300 with additional of $50.